Dental implants have been around much longer than you imagine, but modern implants were only recently discovered (in the larger scheme of things). How much do you know about implants? We are guessing that you will find the bits of information you’ll learn in our implant history quiz quite interesting, if not downright shocking! True or False: Implants date as far back as 4,000 years. True or False: Our modern implant procedure was accidentally discovered in 1952. True or False: The first implant was placed in 1965. True or False: Implants are the most advanced tooth replacement procedure available. 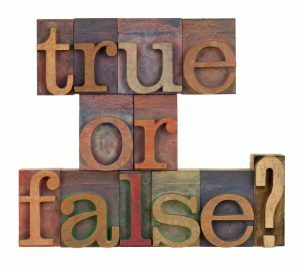 True or False: Everyone is a candidate for an implant. True: Archeological researchers have found implants in the skulls of ancient Chinese. They used carved bamboo pegs to replace missing teeth. True: In 1952, the implant procedure was accidentally discovered by an orthopedic surgeon while studying the healing and regeneration process of bone. He experimented by placing a titanium cylinder into an animal femur. Time passed and a few months later, when he went to remove it, the titanium cylinder could not be removed. It had fused with the bone. This was exactly what was required for an implant to be successful. True: The surgeon continued his experimentation until 1965, which is when he placed the first titanium dental implant into a live human volunteer. True: Due to the osseointegration of the titanium and human bone, implants simulate the strength and stability of a natural tooth root making it the most advanced and long-lasting tooth replacement procedure available. False: While most everyone can be a candidate for an implant, patients must have a healthy and sufficiently dense jawbone for implant placement to be successful. If jawbone health and density are lacking, a bone grafting procedure may be necessary prior to implant placement.